. When I obtained the domain name, I was planning to have others join me in my efforts to make ours a better world, and I still have that plan in my mind but do not plan to execute it as others have done in the past. ERCIAN.ORG will always be a one man organization. I will NOT build a church or a religious institution. Those whose words and actions reflect Ercian ideals, deserve to be called Ercians. 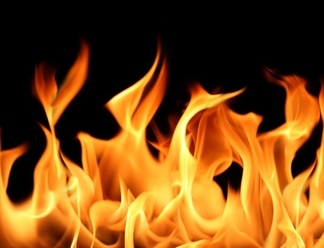 As guardians of the intellect against terrorism, anarchists, dictatorships and all irrational ideologies, religious, racial, or otherwise, we do not follow a Pope or religious leader, and that includes me in the sense that beyond my writings and what I can communicate while alive to form a foundation or structure for the philosophy to be adopted, my personal opinions are NOT religious laws or commandments. I repeat, those whose words and actions reflect Ercian ideals, deserve to be called Ercians. I will try to live up to those standards, but only a wise and impartial judge or jury somewhere should determine whether I did do so or not. The same goes for you the reader, if you decide to become an Ercian. Calling yourself one after reading "Ercian Testament" and the pages on this website is only a promise and a commitment to work for the unity of humankind so that we may become a civilization worthy of the highest destiny possible. Let the world know that you have chosen to become an Ercian, and then do your best to work and fight so that those ideals become universal. Follow the good ideas no matter from whom they come. We should follow the advice of our own good conscience while always listening to other views to ensure we are in the right path. Because communications are key, if not in person, use the phone, the Internet and whatever other methods of exchanging ideas are available. If an Ercian legacy evolves, then parents can pass it on to children so that the work of creating a better world continues. There is no group of people with me, except my family of course. God has blessed my life with their love. My love for them and for the rest of the good people of the world is what gives me the strength to continue in this long journey. What is "Proligion"? Proligion is the Ercian call for the Union of peoples of good mind and will, religious or not, to stand for freedom, democracy and human rights. Who is a "Religious Ercian"? He or she who understands the logical proofs leading to knowledge of the true nature of God, and one who to some extent or another has faith in the power of ERC to grant us life eternal. Who is a "Proligious Ercian"? He or she of good mind and will, religious or not, willing to stand for freedom, democracy and human rights. I welcome atheists, agnostics, Christians, Jews, Muslims and members of any other religion or worldview, as long as they are not indoctrinated. Why? Because people with closed minds who have given up their power of reason cannot in good faith participate in the proligious process of EthCom (Ethical Communication). Due to the influx of refugees from Islamic countries, Europe and the United Kingdom are suffering from the contagion of religious beliefs and practices that threaten freedom, democracy, human rights, and the cultural identity of nations. No religion should be allowed to prevent the rational, effective and efficient running of modern civil society, by trying to impose traditions and practices that belong in ages past. Back then, people were driven by superstition, lacking the knowledge and education available to us in the 21st Century. People who hang on to outdated and false concepts of God in spite of all kinds of proof are “inassimilable” to one extent or another. A society cannot prosper through multicultural diversification unless all those people first support a philosophy of rational assimilation. Therefore, through Eth-Com (Ethical Communication) proligious Ercians should work as a team to find consensus as to the principles guiding such a philosophy of rational assimilation. It is not only the future and welfare of particular countries that is at stake here, but the future and welfare of the human race as a whole. 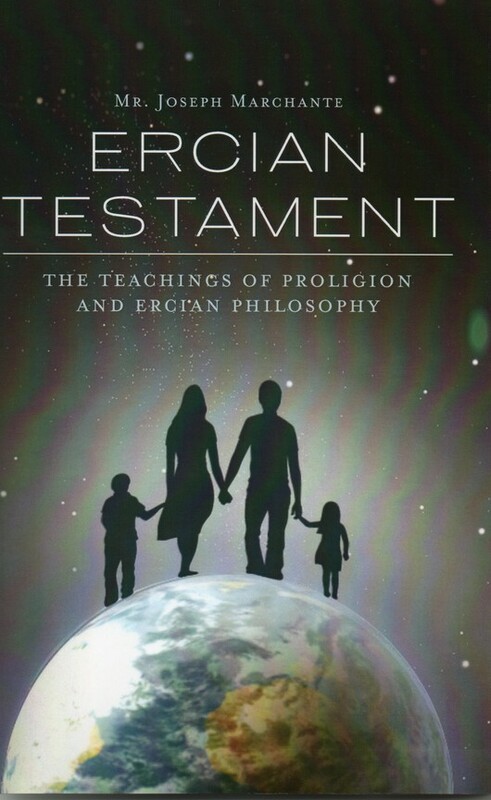 My religion and philosophy are spelled out in the book "Ercian Testament" with the subtitle "The Teachings of Proligion and Ercian Philosophy." Below is the direct link to my publisher Create Space. They are a subsidiary of Amazon.com, and they are the fastest and surest way of receiving my book, even faster than going through the Amazon website. I do not sell the book directly, but only through Create Space, and the Terms of Purchase are those of that publisher.